From time to time short statements of biblical teaching on significant issues are included in reports to the Synod of Eastern Australia. Although not to be regarded as statements approved by the PCEA, they have nevertheless been either commended or welcomed by the Synods who received them. They do not claim to be the full or final word on the issues they address; rather they are, as described, short statements. By gathering them together in this e-book format it is hoped that their value will become known and appreciated by a wider audience. Read them for yourself, check them against the Scriptures (Acts 17:11), and allow them to challenge, change, or confirm you in your thinking. Basic text format of Short Statements. A short ebook giving an overview of the history of Islam, it's various divisions, and its impact on our society today. This is an important, and very readable, starting point for understanding the worldviews of our muslim neighbours and being able to witness to them. The content originally appeared in four installments in The Presbyterian Banner, September to December 2014.
has written extensively in the areas of religious history and theology. 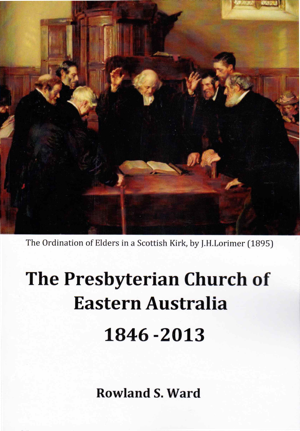 The Presbyterian Church of Eastern Australia is the oldest of Australia's Presbyterian and Reformed denominations. It co-operated with the likeminded Free Presbyterian Church of Victoria and absorbed the remnant of this body in 1953. There were similar churches in South Australia and Tasmania. When unions were effected between different branches of Presbyterianism in the 19th century, these were recognised by the Free Church of Scotland but the faithful remnant who stayed apart was not. This created major problems for those who continued on the original basis as they could not obtain regular supplies of ministers. As well, in quite a few cases the larger Australian church did not act in a principled way toward them. Added to this was the contention within her own ranks in the 1880's that stymied church extension. By God's grace the PCEA survived, consolidated in the first half of the 20th century, and contributed to the revival of the Reformed Faith in Australia in the second half, although not without controversy. No longer a church that is essentially Scottish, her roots are there and valued. However, she enters into the 21st century aware of Australia's multi-cultural context and with the future as bright as the promises of God. As she faces the rising tide of secularism, she knows that the Gospel of Grace is still the power of God for the salvation of everyone who believes.